J.P. Hansen has held all sorts of goofy jobs, from working in a pickle factory to changing light bulbs in Shopko stores to being a clerk for an art gallery. Finally, for a number of years he was a teacher. Now he's a writer. He lives in Minneapolis with his wife Elizabeth Burns (also a writer whose book TILT (Berkley) did quite well), his daughters Cece and Molly, and their dog Victor. 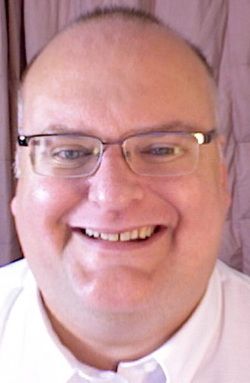 He writes The Vanilla Lawyer mystery series. A mild-mannered probate lawyer who only wants to be a wallflower finds himself involved in what should be a pretty simple copyright infringement case. He is attempting to recoup money owed to an old bluesman who received no royalties when his songs where recorded by rock stars who made a lot of money off them. But things turn bad by chapter 2, and this vanilla lawyer gets more than he bargained for. He is warned off the case by a large, leathery-faced man who wears a trench coat even in the summer. And then he is shot at. His house is ransacked. With the help of a stripper named Jocelyn and an interior decorator named Dorothea, he gets busy trying to figure out who wants him dead. "This book comes at readers from all angles, literally, with its energetic mix of innovative narrative, informed cultural criticism, and good old-fashioned character development about life among the drinking classes. 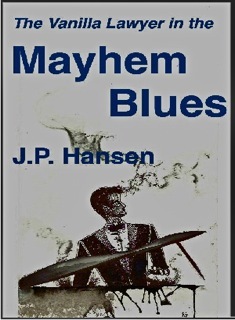 Hansen's absolutely contemporary questioning of individual identity spins out through a story about some ordinary and ornery people whose mundane lives are paradoxically compelling and often shocking. The characters are always thinking even if they don't think they are, and the result is a novel in which boredom, pain, humor, and the unexpected swoop through the rubble of what everybody seems most sure about. 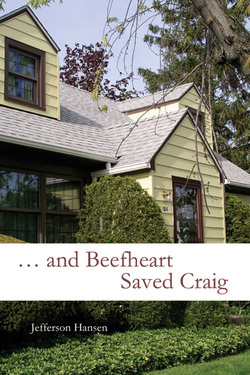 In a way that keeps readers guessing right to the final word, ...AND BEEFHEART SAVED CRAIG shows how philosophy and getting through the day are much more tangled up than so-called common sense often suggests"--Mark Wallace.